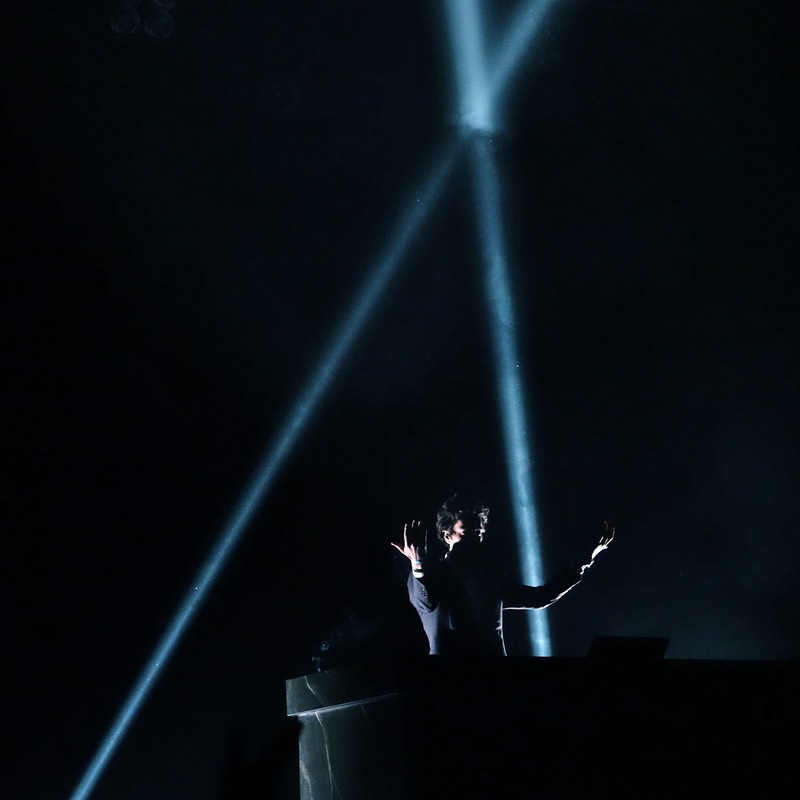 Let me start this review by saying that I'm not at all knowledgeable about contemporary techno. Back in the 90s, in what seems like a past life, I threw large underground parties in Tampa, Florida with DJs who spun til the sun rose. Back then I had a much keener sense of what was hot. It was my job. Those days of rolling and cutting it up are long behind me. 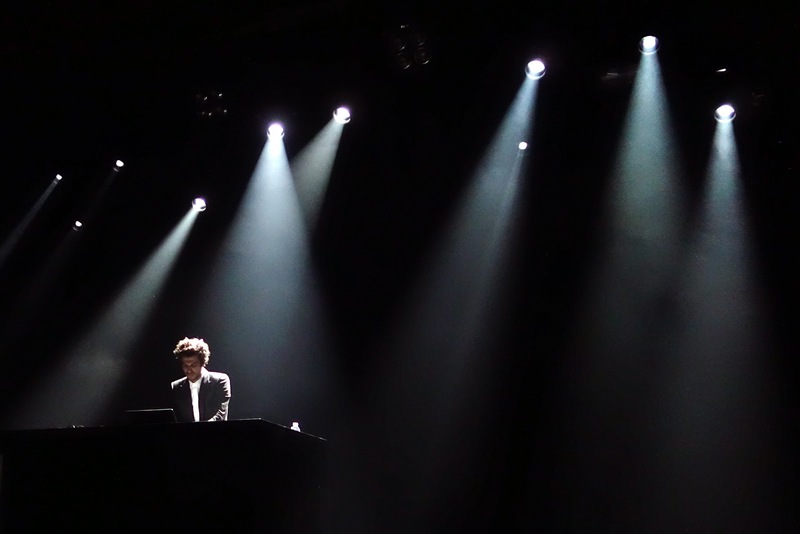 But after listening to Gesaffelstein's debut album, Aleph, I felt inclined to catch him live and get a little taste of what I used to gorge on. 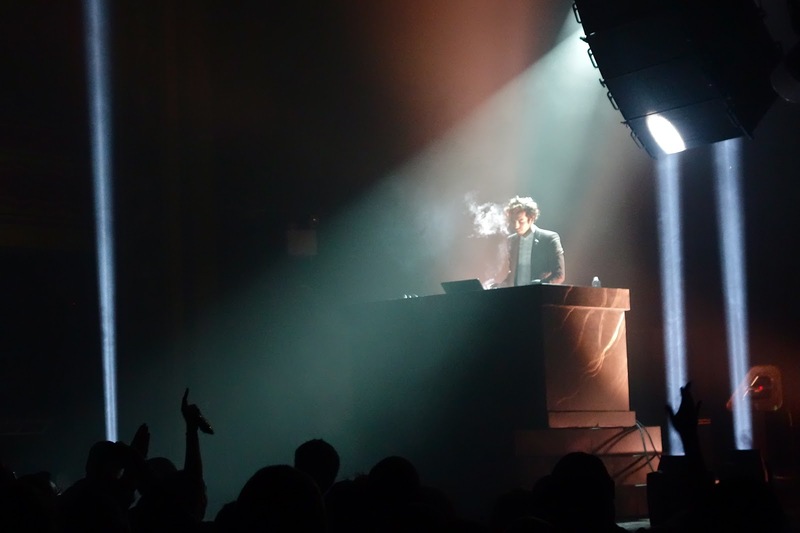 What I personally enjoy about this Frenchman's sound is how he strips the genre to its most basic elements. 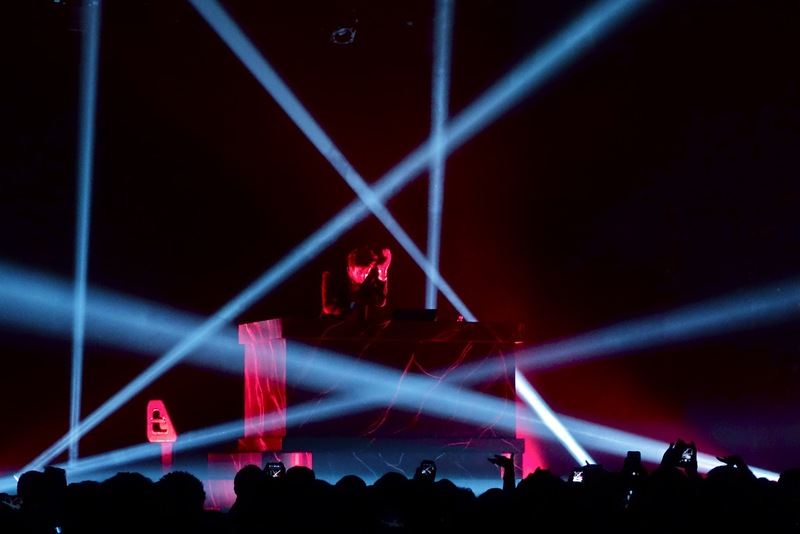 He paints over crisp, muscular beats with sparse keyboards, simple bass lines, dark moody chords, and the occasional horn. Embellishments are few and far between. The "build up, drop, build up, drop" structure is one he rarely employs. Instead, his bigger songs are in your face from beginning to end. The world he creates is one where the sun rarely rises and danger lurks under the surface. It's not surprising Kanye West brought him in to help craft the aggressive sound of "Black Skinhead". 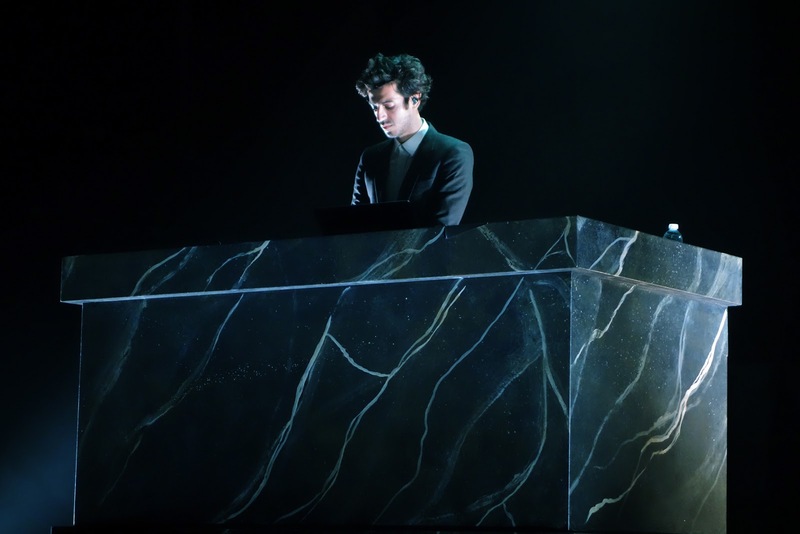 Gesaffelstein has an intensity that's obvious, both on record and when he performs. 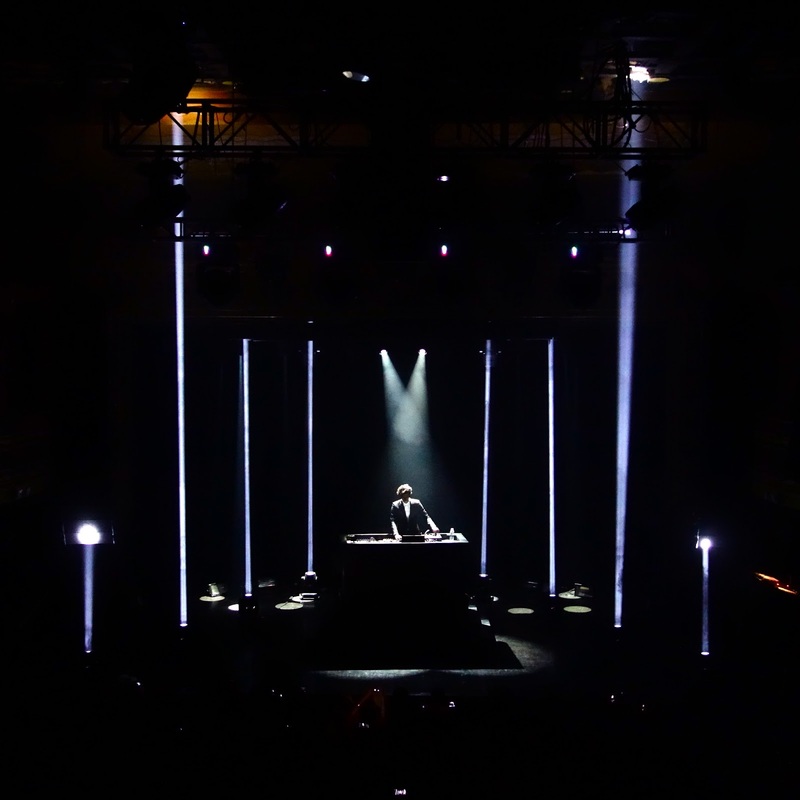 Standing behind his equipment on a pedestal painted to resemble granite, Gesaffelstein kept his foot on the gas and a cigarette in his mouth. I mean, seriously, this cat smokes like a regular Serge Gainsbourg. It was so constant in fact that it became almost a distraction. "Seriously? Another one? That's like 7 in a row." 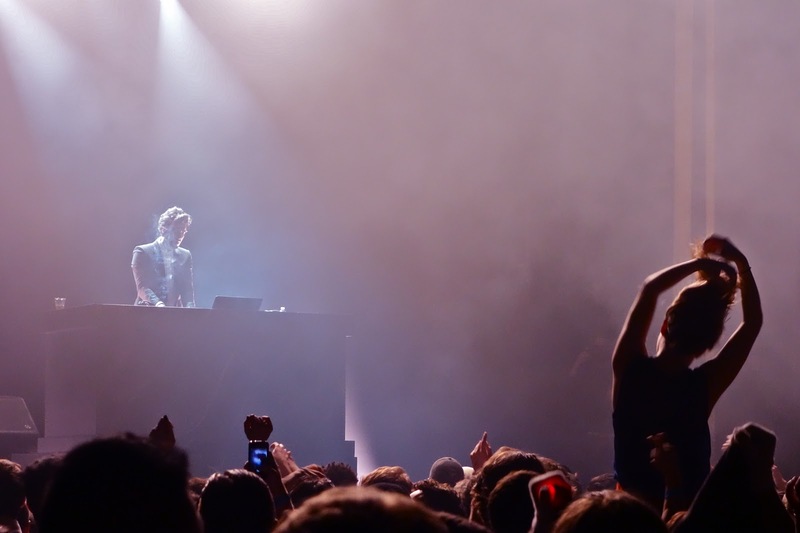 All the while he dropped beat after beat with an almost militaristic stiffness. 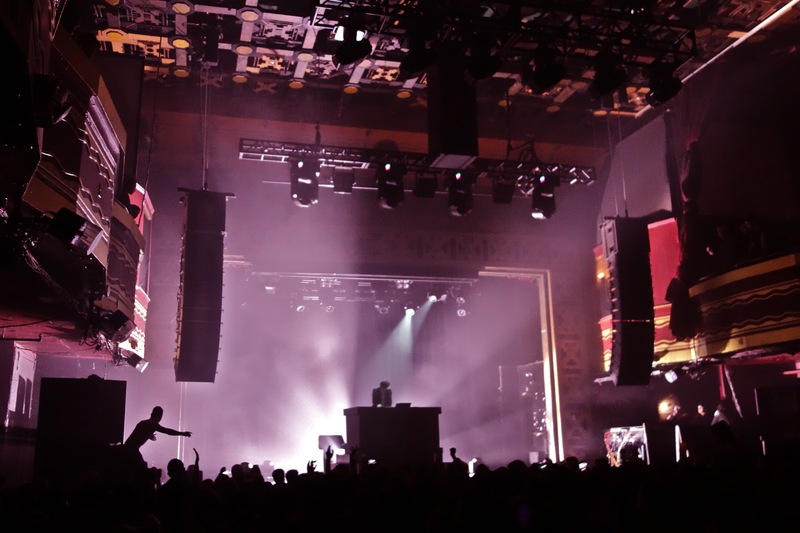 The young crowd ate it up and responded by dancing so much it made the place shake. I almost thought at one point the floor might give way. The "look at me with my shirt off" guys were in the house too, dancing on speakers along the walls and clearly not just high on life. 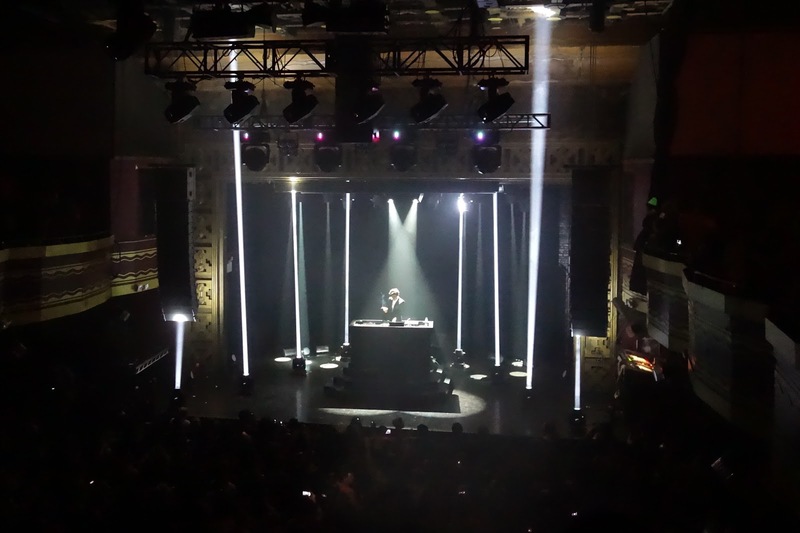 If the reaction of the packed Webster Hall is any indication, Gesaffelstein should have quite an army when it all goes down. I'm guessing his first order will be to find and bring him cigarettes.